This highly regarded publication provides the latest innovations in the specialty of anesthesiology. Learn best practices from leading experts and discover the newest interventions and therapies. 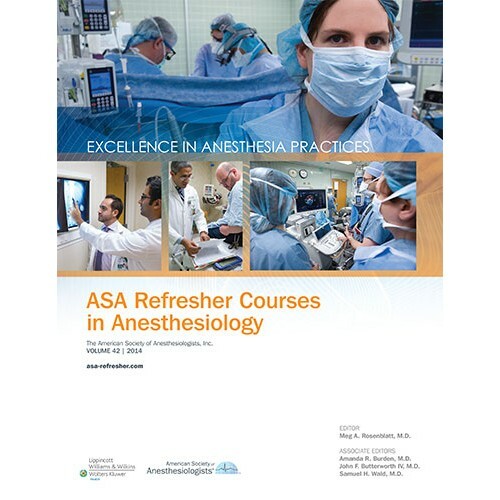 ASA Refresher Courses in Anesthesiology, Volume 42, features 20 complete and edited peer-reviewed lectures on topics of current clinical interest selected from the ASA Refresher Courses presented at the ANESTHESIOLOGYTM meeting. Earn up to 20 AMA PRA Category 1 Credits™. 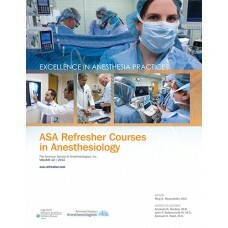 Enrollment into the ASA Refresher Courses in Anesthesiology CME activity is completed every Tuesday. Upon enrollment, you will receive an email notice with login instructions to access the course through the ASA Education Center.